Berkeley Hillel is excited to connect you with learning opportunities, fellowships, and student groups that explore Israel through multiple lenses. ts with a space in which to think critically and creatively about Israel and to explore the multiple facets of having a personal relationship with the modern Jewish state. For more information about Backstage Israel, check out the Fellowships page. The fellowship is for Israeli-American students and covers important topics unique to Israeli-American students, such as identity, relationship to Israel and leadership. For more information about Mishelanu, check out the Fellowships page. Run by and for students, these diverse groups represent different ways that Berkeley students relate to and engage with Israel. Bears for Israel aims to be an inclusive pro-Israel voice that promotes open dialogue on campus and advocates for the existence of a democratic Jewish state. It will work to bridge relationships between various campus groups to form a more unified pro-Israel body. The TAMID Israel Investment Group is a student-led non-profit organization, which develops and fosters the future economic relationship between American business minds and the Israeli economy. TAMID’s on-campus program is consists of education, consulting, fund management, and an internship. For more information about joining, TAMID, visit the group page. Tikvah, the Zionist voice at Berkeley, represents an alternative approach to the methods of the current network of “pro-Israel” institutions in America. We are an independent organization of activists who deeply believe in our cause. Tikvah rejects shallow advocacy and blind support and hope to foster a deeper connection between Jews at Cal and their national identity and homeland. Mishelanu promotes an active and strong Israeli-American community on college campuses, in order to strengthen and maintain the next generation’s identity: culture, language, heritage and strong connections to Israel. Birthright: Are you interested in traveling to Israel? Join us on our Birthright Israel trip with 40 other Berkeley students! For more information about this FREE program, check out the Birthright Israel page or contact Molly Shapiro, Director of Engagement at mshapiro@berkeleyhillel.org. The Hartman Fellowship for Student Leaders aims to deepen the discourse around Israel on campus using Hartman’s iEngage curriculum. The iEngage curriculum creates a new narrative regarding the significance of Israel for Jewish life. This narrative serves as a foundation for a new covenant between Israel and world Jewry, elevating the existing discourse from a crisis- based focus to one rooted in Jewish values and ideas. Led by a team of internationally renowned scholars in the fields of Jewish studies, Middle East politics, and history, iEngage is committed to addressing core questions pertaining to the necessity and significance of the State of Israel. For more information, email Lauren Schuchart, Associate Director, at lschuchart@berkeleyhillel.org. Want to go for longer? Onward Israel Summer Internships: Live, work and play in Israel this summer while building your resume and making lifetime memories! Onward Israel offers exciting resume building opportunities and internships, providing a global, cross-cultural experience in Israel and direct contact with Israeli peers. If you are interested in spending a longer period of time in Israel, MASA Israel Journey provides resources to study, intern, and volunteer. Offering over 200 different opportunities, MASA provides young Jewish adults with connections to programs, grants, and scholarships towards program fees, as well as support, activities, workshops and resources while in Israel. For information on opportunities to travel to Israel, contact Danielle Neubauer, Israel Fellow at dneubauer@berkeleyhillel.org. For information about studying abroad in Israel, visit the Study Abroad page. 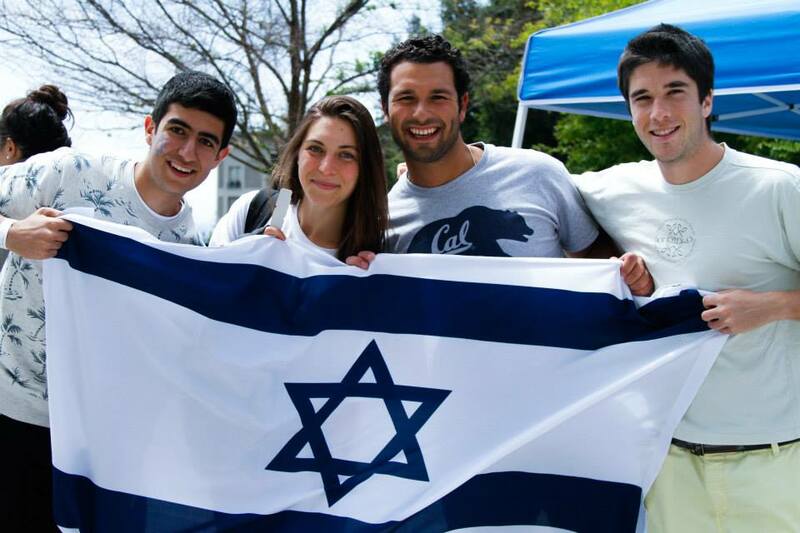 The Berkeley Institute houses two core programs, the Berkeley Program on Israel Studies, a nationally-recognized initiative for the study of Israel, and the Berkeley Program on Jewish Law, Thought, and Identity, the only program of its type in the western United States. Together the Institute’s programs promote student and faculty engagement by developing opportunities for research, programming, and mentorship; by bringing visiting faculty and scholars to UC Berkeley; and by organizing colloquia, programs, and classes to strengthen academic inquiry and discourse across the Berkeley campus. Information about Israeli culture, news, products as well as consular services for Israeli citizens. The Jewish Federation based in Oakland serves Alameda and Contra Costa counties and supports a wide variety of Israel programming for adults, youth, and students. Are you an Israeli living in Berkeley? To meet other Israelis, join our Hebrew coffee hour, and find out about Israel events, contact Danielle Neubauer, Israel Fellow, and we’ll keep you connected with your Israel roots right here in Berkeley.